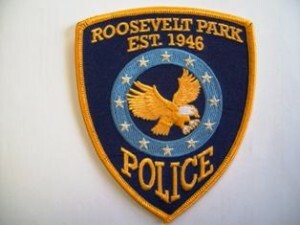 Welcome to the Roosevelt Park Police Department web page. The police department is a very skilled and dedicated full-service agency that takes great pride in maintaining the high quality of life here in Roosevelt Park. The safety of our citizens and security of Roosevelt Park is our top priority. The Police Department consists of the Chief of Police, four full time officers, and seven part time officers. The police respond to emergencies and/or complaints 24 hours a day by calling 911. The office is open from 8:30 a.m. – 3:30 p.m. Monday, Wednesday, and Friday; and 8:30 a.m. – 5:00 p.m. Tuesday and Thursday. Contact Roosevelt Park Police at 231-755-3721 ext. 1951 during normal business hours or call 911 for Central Dispatch. Select the items from the list to the left for further police department information and services.